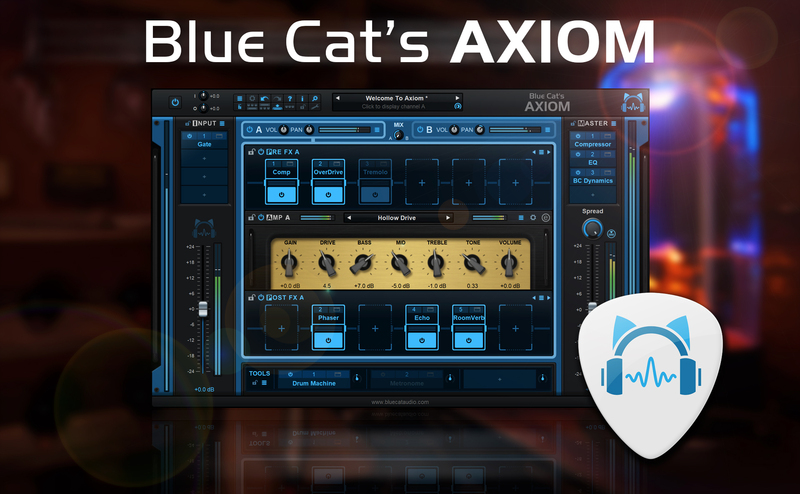 Please welcome Blue Cat’s Axiom, our new multi effects processor and amp simulation software for guitar and bass. Based on the acclaimed Destructor plug-in for amp simulations, Axiom offers an infinite number of exceptional tones for your axe. 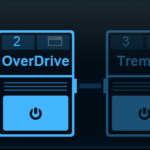 Blue Cat’s Axiom includes two amp simulations channels (with pre and post effects) that can be mixed together or used alternatively like a real amp. You can choose your amp models from hundreds of presets or launch the amp editor (based on Blue Cat’s Destructor) to build your own, with complete control over all the parameters. Additional input and master sections let you adjust the tone at the input and the output of Axiom, with 4 additional effect slots each. A brickwall limiter also protects the output from overshoot. Axiom includes more than 30 built-in effects that can be loaded in any of the 32 plug-in slots, including a built-in version of Late Replies for creative delays and reverbs, and a built-in version of Destructor to let you create your own distortion pedals, cabinets or additional amp simulations. But Axiom is not limited to its included effects: these slots can also host third party Audio Unit, VST or VST3 plug-ins, so that you can use your favorite plug-ins anywhere in the signal chain and expand Axiom’s capabilities. Because playing alone is not so much fun, we have added a tools section with 3 additional slots to host virtual instruments: load a metronome, a drum machine, sequencer or your keyboardist’s favorite synthesizer there, it will be mixed with the guitar. 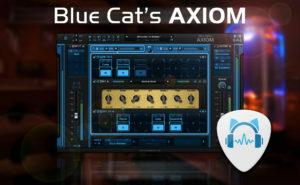 Blue Cat’s Axiom will be available as a standalone application or plug-in (VST, VST3, AAX, Audio Unit) for Mac and Windows. It will be demoed at the Winter NAMM Show later this week on booth #16300, and the release is expected in Q2 2018. By the way, upgrade paths will be available from the Destructor and Late Replies plug-ins, so we offer you 20% off these plug-ins until the end of the NAMM show. This entry was posted in Products Previews and tagged Axiom, NAMM2018 by bluecat. Bookmark the permalink. It seems very nice. I’ld like to have a look. Thanks. Looks great! Love Destructor and this seems to be the total package! Any discount for Destructor owners? Yes! There will be upgrade paths for the owners of the Destructor and Late Replies plug-ins. This looks exactly like what I’m looking for. Yeah this new guitar and bass software looks very cool !! !